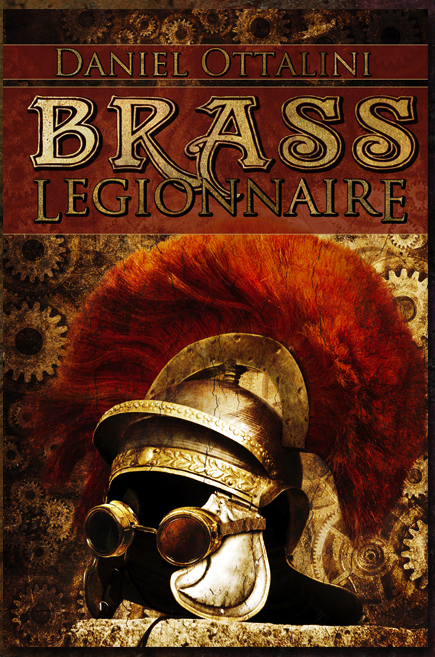 Brass Legionnaire Signed First Edition Giveaway! It is with great pleasure that I announce the creation of my FIRST ever giveaway for Brass Legionnaire! Here’s how it works. You comment below with your email address if you aren’t a wordpress person, or you simply comment with your wordpress account. (P.S. I won’t be using the email address for anything else!) The giveaway ends MAY 31st (because that’s when the books arrive in the mail!) I have exactly THREE books to give away to interested parties. Why have a give away? Well, in the best of worlds, everyone who gets a copy of the book will be heads over heels in love with it and give me stellar reviews! In the real world, I’m simply hoping that people give me some honest and (hopefully!) good reviews. It’s been a real journey to write this novel. I hope people find it worthwhile of their reading time. Oh, and did I mention that I’ll be signing each book – it might not be worth much now, but you never know about the future! I’ll announce the winners (randomly chosen by tried and true papers in a hat method) on June 1st (that’s a Friday). The books will be sent out that Saturday as long as I get addresses. P.S. I’m poor, so only readers in Canada and the U.S. will be able to get a paperback copy of the novel. However, if you win and live elsewhere, I’ll send you a free coupon for smashwords so you can get your free online ebook copy. So what are ya waiting for? Hurry up and enter to win! Whether I win one or not, I look forward to reading your book. Congrats! I just found your book on Goodreads and entered the giveaway! This is a seriously awesome idea you have here by adding Steampunk to the Roman empire! I fully appreciate authors who try new things with Historical fiction. And I also publish on Createspace so good for you! I’m definitely going to get a copy of your book eventually anyway, even if I don’t win it in the giveaway, it’s too new an idea to pass up. I have a giveaway up now myself so I hope you get a lot of interest in your book. Best of luck with your writing career! Hi all, check out the latest post to see who won!